Too bad that the people profiting from the suffering of animals, because one way or another that situcion in many cases are in real life. unauthorized spam link removed by dotti. Feel free to post up the email addresses you are receiving these from so others can be warned as well. 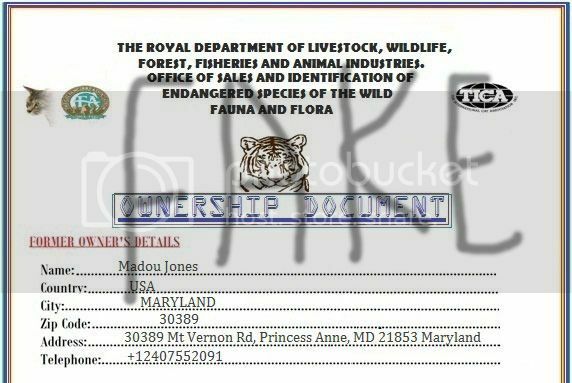 WE HAVE ATTACHED TO THIS EMAIL A SIGNED AGREEMENT FOR THE REFUNDS OF ALL YOUR MONEY. 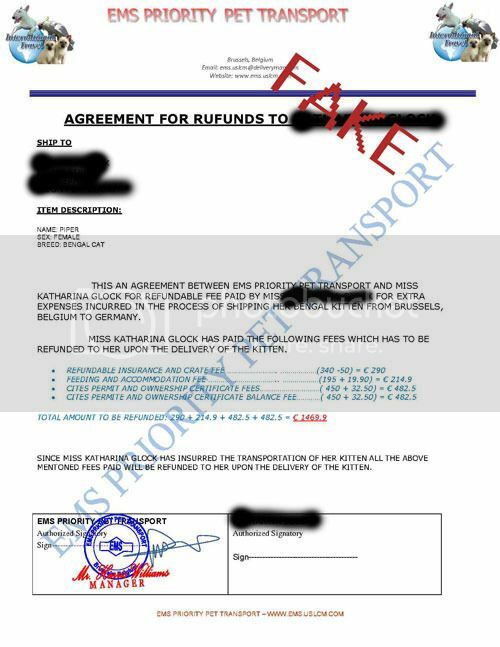 KINDLY SIGN IT AND SEND BACK A COPY TO US ALONG WITH THE PAYMENT RECEIPT FOR THE BALANCE 450 EU RO SO THAT WE CAN PROCEED WITH THE SHIPPING ARRANGEMENT FOR YOUR KITTEN AND GET BACK TO YOU WITH FLIGHT DETAILS .. This was another attempt to steal more money from the victim. 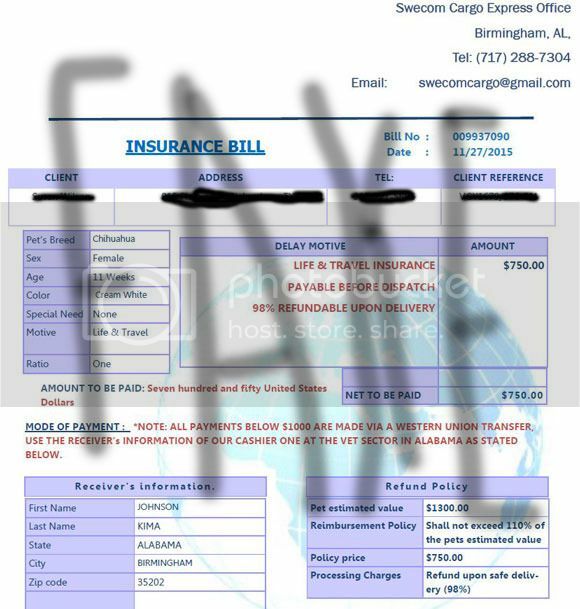 Fake insurance bill sent by the scammer. 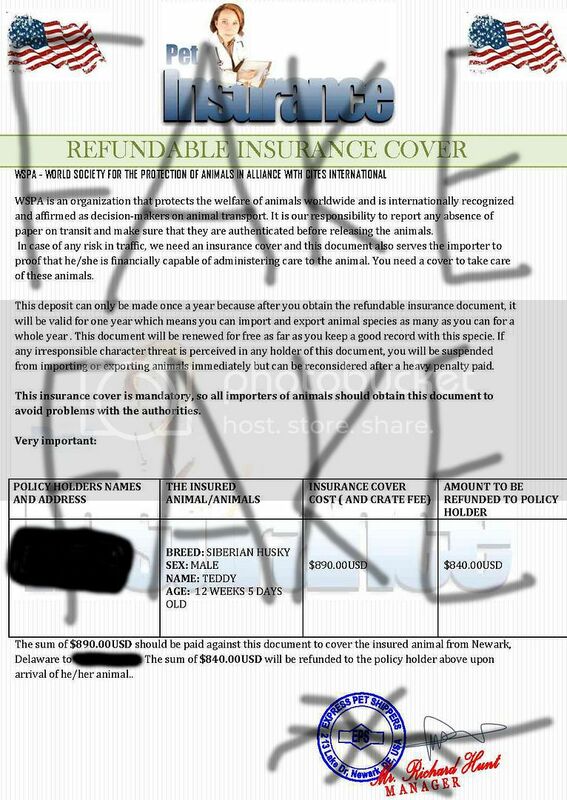 REefundable insurance does not exist and is always a scam. 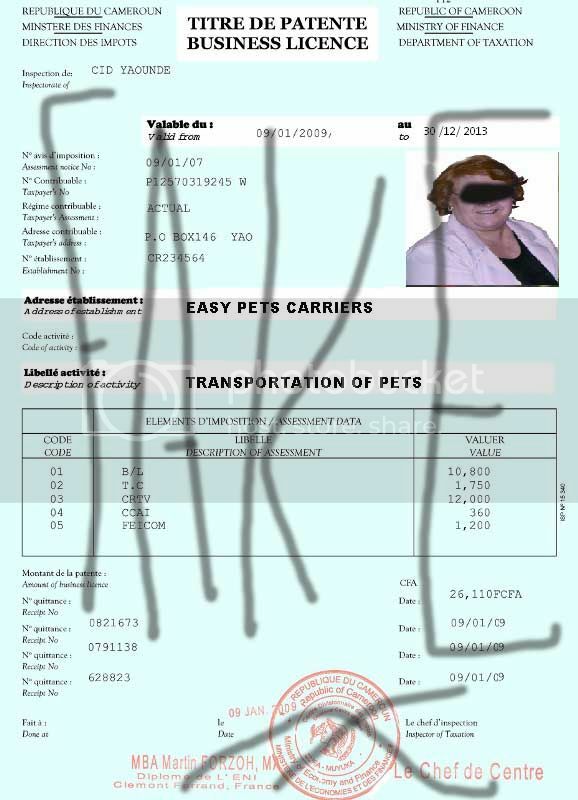 I received 3 fake photos for free Bichon Maltais....I saved the pics and searched for them using Google image (upload file) and found the same pictures in many adds. Too good to be true. Try this, it will avoid disapointments. 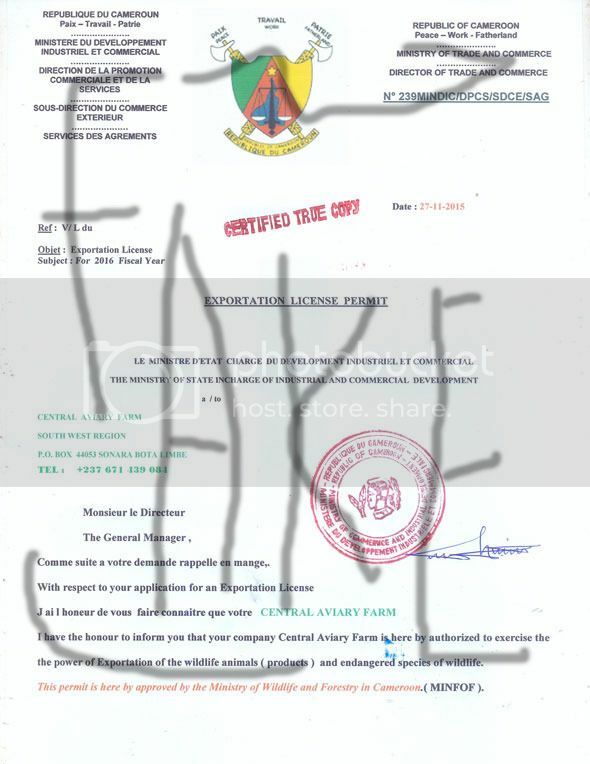 Fake export license used by Central Aviary Farm. 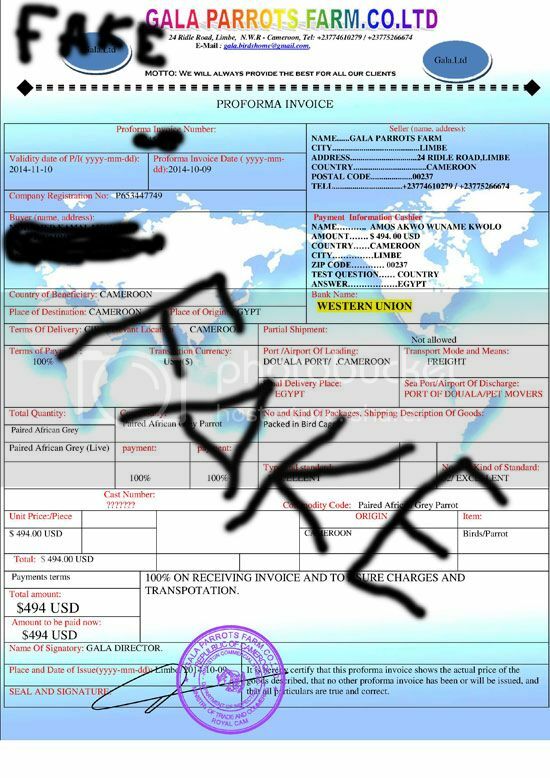 The scammers poor attempt at making fake documents. 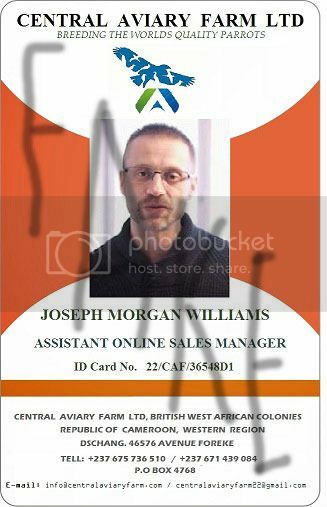 The scammers are impersonating a legitimate company that has no connection to this criminal activity. 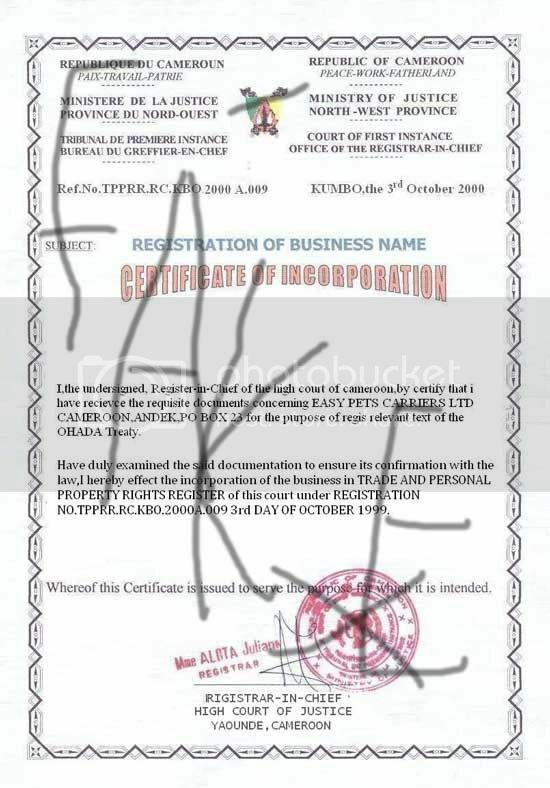 DEAR CLIENT WE WISH TO VERIFY TO YOU OUR COMPANY'S CERTIFICATIONS AND ACCREDITED PAPERS. 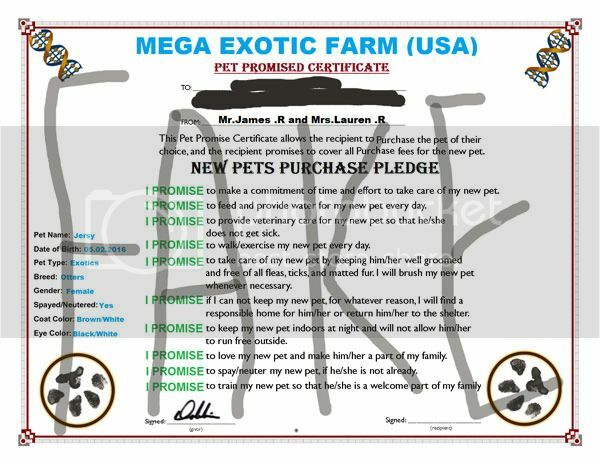 This payment of CHF 300 should be made as soon as possible so that the puppy can be scheduled on the next available delivery to your location. 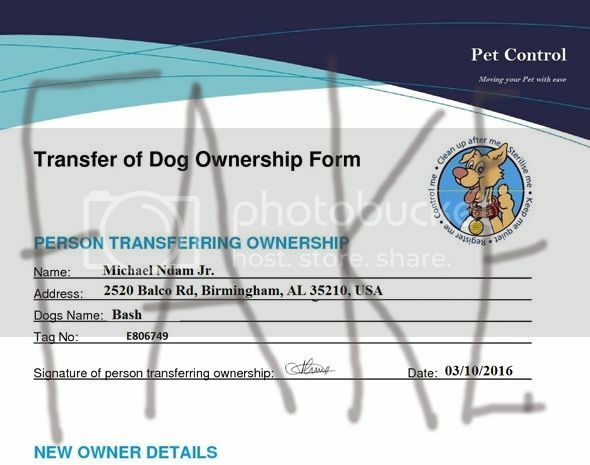 If the fee is not granted, the puppy will still be in our keeping. If this money is not paid on time,you will be charged for the feeding manuals. 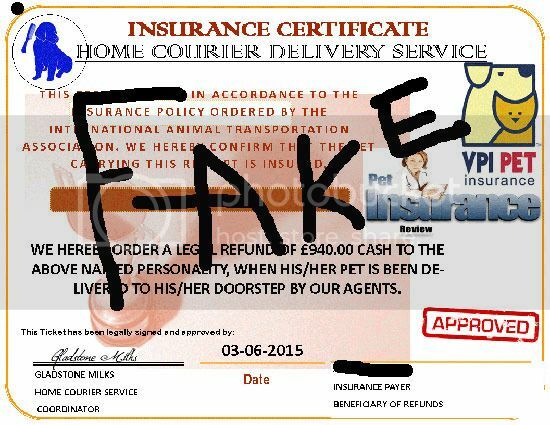 A PHOTO OR SCANNED COPY OF THE PAYMENT RECEIPT AND THE SENDERS FULL NAMES SO WE CAN THEN ACTIVATE YOUR DELIVERY AND SEND YOUR REFERENCE NUMBER AND FULL DELIVERY SCHEDULE WHICH IS STILL NOT ACTIVE YET.WE DO THIS TO ENSURE 100% SAFETY OF TRANSACTION.